We are now running a Kickstarter campaign to fund production of the pilot episode for "Lunatics! ", "No Children in Space". After a year of work on this project, I'm really excited with how much we've accomplished -- we have already got many of the most important models for the project created, and of course, with your help, we were able to do the pre-production work, create an animatic, and do voice recording. The goal of our new Kickstarter is to finish off the pilot by doing the remaining model work and then animating. Please check it out! "Lunatics!" 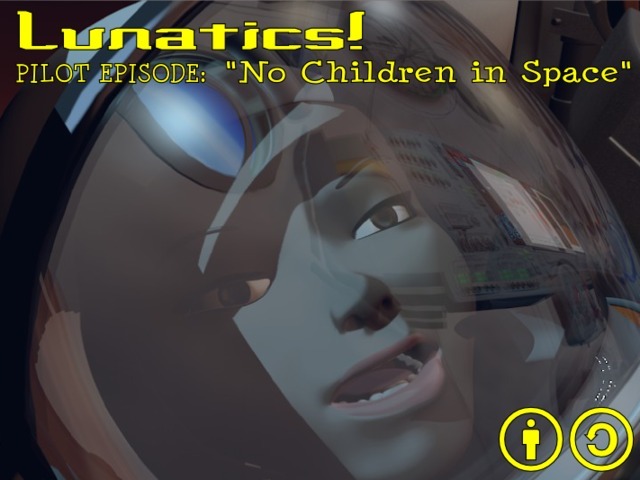 - 2013 Production Kickstart - "No Children in Space"